The likes of Google, Microsoft, Apple, Dropbox, and Box are falling over themselves to offer you straightforward cloud storage and syncing services. If you’ve signed up for two or three of these apps, then you can easily combine them to create extra online copies of your files, just in case one of them goes down at an inopportune time. It’s not a clever idea for all situations, though. If you’re paying for 1TB of Google Drive space and 1TB of Dropbox space, then putting one inside the other is going to leave you with just 1TB of room to play around with rather than the full 2TB. 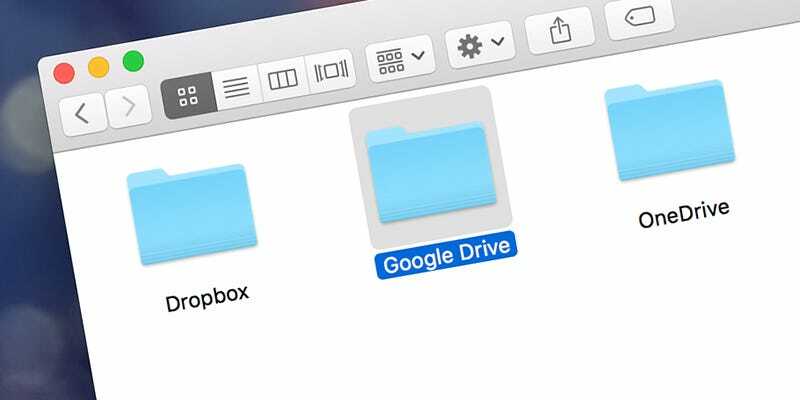 However, if you’re using Google Drive as your main service, you could sign up for a free Dropbox account as well to create a subfolder for your most important files. All these services have solid track records of keeping data safe, but if one should happen to go down on a particular day, or lose some of your documents for whatever reason, you know you’ll have an alternative way of keeping at least some of your files available from the cloud. All you need to do is reconfigure the main syncing folder from one of these apps to sit inside the other. Most services enable you to specify the main folder location somewhere in their settings, so nesting one inside the other shouldn’t pose too much of a challenge. Apps tightly integrated into the OS (like OneDrive and iCloud) are more difficult to reconfigure, but you can customize your approach based on the operating system and services you’re using. At the end, you’ll still only have one copy of your files stored locally, but duplicates will be created on the web, and that means if you’re getting at your data remotely from a browser you have more than one option to choose from. It also gives you more flexibility when it comes to installing these apps on secondary computers and mobile devices.